UC San Diego School of Medicine TREDS receives funding for successful distracted driving program. Texting a friend, using a GPS device or talking on a cell phone while driving – even hands-free – can put lives in danger. 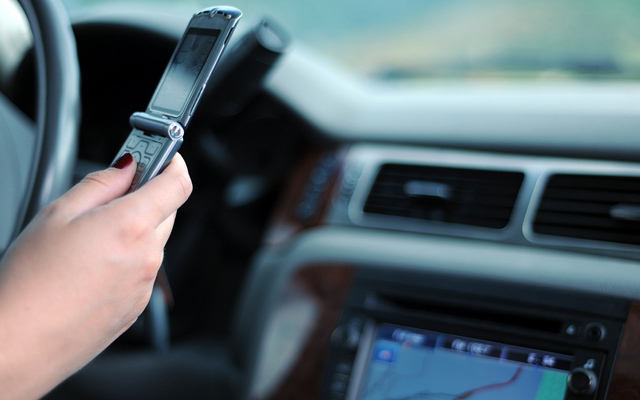 Distracted driving has emerged as a major transportation safety problem. To combat it, researchers at University of California, San Diego School of Medicine recently received funding for the ninth consecutive year from the California Office of Traffic Safety through the National Highway Traffic Safety Administration. Three grants totaling $700,000 will support the continuation of two programs focused on distracted driving awareness and aging road users, as well as the launch of a new initiative focused on pedestrian safety. The extension of the “Just Drive – Take Action Against Distraction” campaign will continue to educate adults on the dangers of distracted driving and provide practical strategies to reduce risks. The program also assists companies with the development of worksite cell phone policies. In its third year of funding, the distracted driving program has delivered 140 classes to more than 8,000 working adults. In addition, TREDS will continue its statewide training programs for health professionals, law enforcement and social service providers, who all play a role in identifying and referring drivers with age-related impairments that can affect driving. Currently in California, there are more than 82,000 drivers in their 90’s and more than 540 licensed drivers over the age of 100. By 2030, one in five drivers will be over 65 years old. The increase in distracted driving has also been linked to a recent increase in pedestrian injury and death. Because both pedestrians and drivers do not obey laws and signals consistently, and many use cell phones and electronic devices while walking or driving, a new TREDS initiative will promote defensive walking in an effort to reverse that trend. TREDS continues its successful collaboration with the California Highway Patrol and local law enforcement agencies across the state to implement public health and safety programs that will keep roadways safe and provide an educational message statewide. Visit TREDS for more information.